The Ashes Cricket may be over and England may have lost but that doesn’t mean we can’t seek revenge before next time round! So we decided to take Australia on on our own! 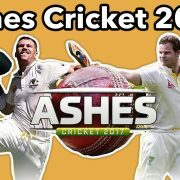 Check out how our very own Marcus Bronzy and Funk Butcher when they played the latest Ashes Cricket 2017 game from Big Ant Studios! Ashes Cricket is the officially licensed video game of cricket’s greatest rivalry. Bringing all the fast-paced action, big hits and skill that you see in the greatest cricket competition on earth! In both a more realistic and authentic way than ever before, you’ll be able to bathe your team in glory in the men’s and women’s 2017/2018 Ashes tours. Courtesy of Big Ant’s unique photogrammetry technology, Ashes Cricket presents official photorealistic likenesses for all of the Australian and English men’s and women’s teams. 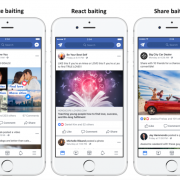 So it will make you feel like you’re right there at the live game. To get this game click here. LA Noire, the gritty crime fighting thriller that once graced your screens on home consoles is now making it’s way to the latest generation!! 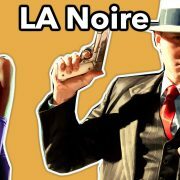 To purchase LA Noire for the Switch please click here! To purchase LA Noire for the PS4 Click here! Will we see whisper Siri soon? 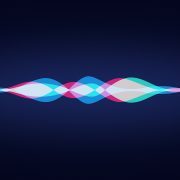 Apple have filed a patent for a “a digital assistant that is capable of detecting a whispered speech input and providing a whispered speech response.” Basically Siri that whispers back to you if you whisper to it. This may be Apple’s attempt at making it’s AI assistants to become more ‘human.’ As a result less awkward to use in public situations. In the patent, Apple explained in which a whispering Siri will help you out when you need it the most. The situations that Apple listed where Libraries and in an office cubicle. While, Apple also noted that a whispering Siri is intended to protect a users privacy. The way that an iPhone or Apple watch would be able to detect if a users talking quietly or whispering to it. Would be detecting the amplitude and frequency patterns of a users voice. As a result, Apple want to make Siri actually whisper back to you. Not just turn the volume down on your device. Think about it, when someone whispers something to you, you don’t speak back normally. Subconsciously you make the decision to match the other person’s voice pattern. It’s also very important to note not all patents become reality. http://wp.freedomofcreation.co.uk/howtokillanhour/wp-content/uploads/sites/65/2017/12/Siri.jpg 1080 1920 marcusbronzy http://wp.freedomofcreation.co.uk/howtokillanhour/wp-content/uploads/sites/65/2017/09/htkah-web-logo-2017.png marcusbronzy2017-12-21 00:00:572018-01-11 10:10:04Will we see whisper Siri soon? Rainbrow: Gaming with your eyebrows? So, that shiny new iPhone X you have got? The one where animoji’s where cool for all of a week? It has a new use for the front facing camera! Your eyebrows! Introducing Rainbrow! So, you can now use them to play a game of Frogger. Well technically. Rainbrow is a brand new game that lets you navigate across a rainbow with your eyebrows. Nothing more. Nothing less. You have to control a face emoji with your eyebrows. 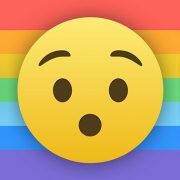 So, move down it by frowning and yes, you’ve guessed it, you move up the rainbow by looking shocked. Furthermore in a Super Mario star move, get enough points and you can crush everything in your path! As a result, no deaths either! Most of all, make sure you play in a well lit room, otherwise the game won’t work. http://wp.freedomofcreation.co.uk/howtokillanhour/wp-content/uploads/sites/65/2017/12/rainbrow.jpg 378 960 marcusbronzy http://wp.freedomofcreation.co.uk/howtokillanhour/wp-content/uploads/sites/65/2017/09/htkah-web-logo-2017.png marcusbronzy2017-12-21 00:00:472018-01-10 18:05:58Rainbrow: Gaming with your eyebrows? 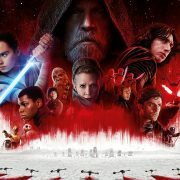 To listen to the guys chatting about Star Wars: The Last Jedi please click here! Want a shiny new iMac Pro? Well, re-mortgage the house. It’s going to cost you. A LOT! While the base iMac Pro is costly at just under £5K, sitting pretty at £4,899, that’s nothing when you start adding on parts. If you, like us, are a bit of a geek when it comes to computing power. You want the best, most powerful computer you can get. That way you can get your work done as fast and as efficient as possible. So you can either go and start some new piece of creative piece. While on the other hand it gets spares up some time to crack on with COD WW2. Whatever floats your boat. 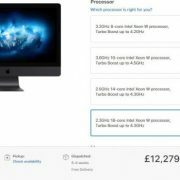 The iMac Pro, fully loaded costs a grand total of £12, 279. For that low low price you get 12GB of memory, a 4TB SSD and a 18-core Intel Xeon CPU (To release in 2018) Plus if you’re a sucker for all things matching, if you may decide to get matching space grey magic mouse 2/magic trackpad 2 throw an additional £149 on top of that sucker. I mean why not you’re spending 12K as it is. Yet, we’re only saying as Apple’s website state that you can only purchase Space Grey accessories are only available at time of purchase. As a creative you may also want Final Cut Pro X/Logic Pro X on it too (though we suspect you may already have those on your account) but for those that don’t it’s an additional, £300/2oo respectively. SOne of the world’s most popular gaming franchises may be changing! EA’s Fifa franchise may look completely different from 2019 onwards. In the form of subscription based gaming. According to EA Chief Executive Officer, Andrew Wilson, there will be no more annual releases in favour of continuous game updates. According to him, consumer culture is gearing more towards digital downloads and subscribtion based models. EA’s own EA Access is a prime example. The Fifa franchise would move in an era where squad and kit updates would occur at the end of each transfer window. While, it can be said that this has been a long time coming. Since, Fifa at the end of the day only transfers and a few gameplay tweaks every year. So why not have these as simple game updates annually, whilst patching and adding bits in throughout the year? Most of all it boils down to how much consumers are willing to pay. How much would you pay to play EA’s Fifa franchise? 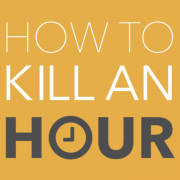 http://wp.freedomofcreation.co.uk/howtokillanhour/wp-content/uploads/sites/65/2017/12/ea-fifa-logo.png 1080 1920 billywright http://wp.freedomofcreation.co.uk/howtokillanhour/wp-content/uploads/sites/65/2017/09/htkah-web-logo-2017.png billywright2017-12-21 00:00:422017-12-19 20:13:32Fifa franchise may be changing? In the world’s worst kept secret. 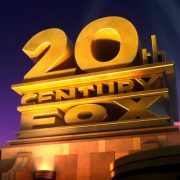 Disney’s crush on 20th Century FOX has had a fruitful ending. A mega-merger. The deal amounts to $66B (the second largest merger this year, only to Broadcom-Qualcom at $130B) and includes, Movie Studios, Networks Nat Geo and FX, plus a 60% stake in Hulu. Rumour over here in the UK is that they want FOX’s to be allowed to acquire Sky. So, they too, will own Sky. While it’s interesting to dream of X-Men in the Avengers movies. As a result of purchasing FOX and a controlling stake (?) in Hulu, (60% is ALOT) this is Disney’s throw of the dice in the streaming world. Hence, why Disney had such a strong love interest in Hulu. Whether Disney will fold Hulu (if they can) and build up a brand new streaming service of their own. Consequently with exclusive Disney/FOX’s content. Is anyone’s guess. But will there be pull of Marvel content from Netflix? How badly will this hurt Netflix? Only time will tell. But this is HUGE for the consumer.